Well, the rudder tube is glued in place. 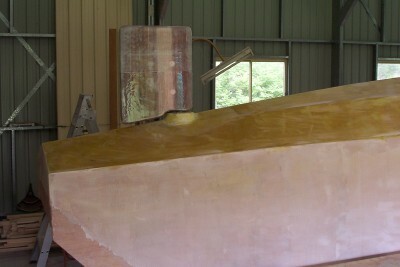 Pic shows rudder temporarily in tube - it still needs to be faired up and painted. Outboard pod is also now glued in place, so it's almost time to turn over the hull and start all over again.